One of the goals of the IIT Madras Strategic Plan 2020 is to become a technological university ranked in the top 50 in the world in all disciplines. T5E talked to many of the people spearheading this effort. In the first of this four-part series, we look at why exciting times are ahead for research at IIT Madras. The rest of the series can be found here. A young man at IIT Madras was once cycling back to his hostel from the library when he heard someone behind him asking him to stop. Why not attend my off-credit course on programming, asked the older man, having spotted the computer science books the student had just borrowed. “He was the Head of the Department of Computer Science at that point and definitely that did change my life,” says Kris Gopalakrishnan about Prof. H. N. Mahabala, over three decades later. In November last year, Kris endowed the first of the three chairs – each with an endowment of ₹10 crores – that will form the core of the new Centre for Computational Brain Research (CCBR) at IIT Madras, in the name of Prof. Mahabala. “It’s my way of saying thank you,” says Kris. Just four years after that incident, Kris joined six others in founding Infosys. 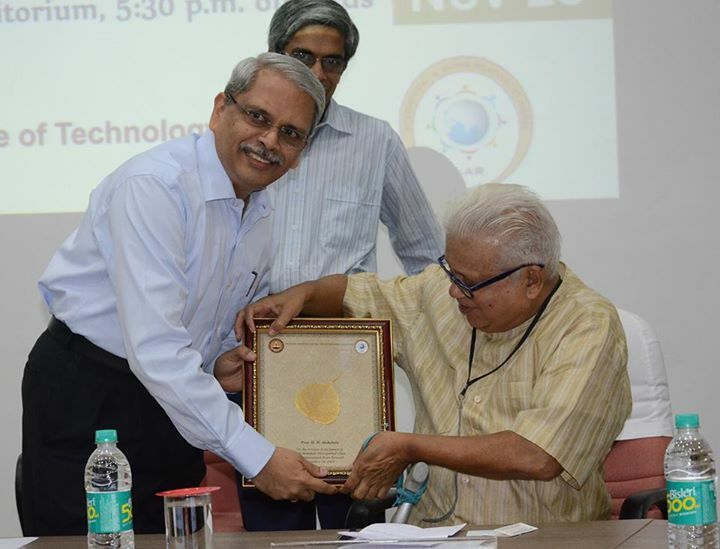 Kris Gopalakrishnan presenting a memento to Prof. H. N. Mahabala. “What better way to give gurudakshina than creating this professorship,” says Prof. Mahabala. The rapid rise of the IT industry generated employment and wealth. To be at the forefront of the next computing revolution, Kris believes India must invest in brain research – not just using computers to understand the brain, but also developing new paradigms of computing from the understanding that develops. Research work at CCBR, therefore, would cover a range of computational approaches to brain research with the focus being on understanding what makes brains different from computers and also investigating disorders such as Alzheimer’s. The first occupant of the Prof. Mahabala Chair will be Prof. Partha Mitra of the Cold Spring Harbor Laboratory in New York. Kris was an M.Sc. Physics student when he met Prof. Mahabala. He went on to do an M.Tech in Computer Science and had a job offer soon afterwards. And he immediately impressed his boss, N. R. Narayana Murthy. In April 2015, Kris endowed the second chair at CCBR in the name of his mentor and co-founder of Infosys. 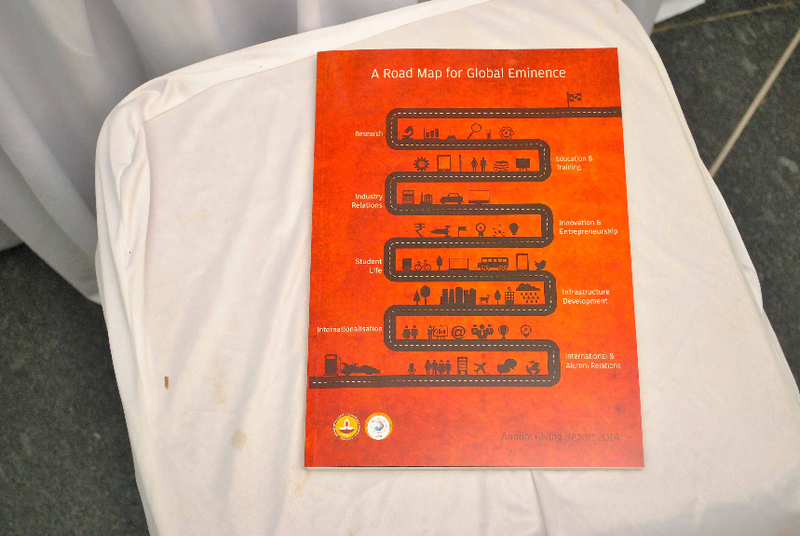 It will be occupied by Prof. Mriganka Sur of the Massachusetts Institute of Technology (M.I.T.) A third Chair will be endowed later this year. 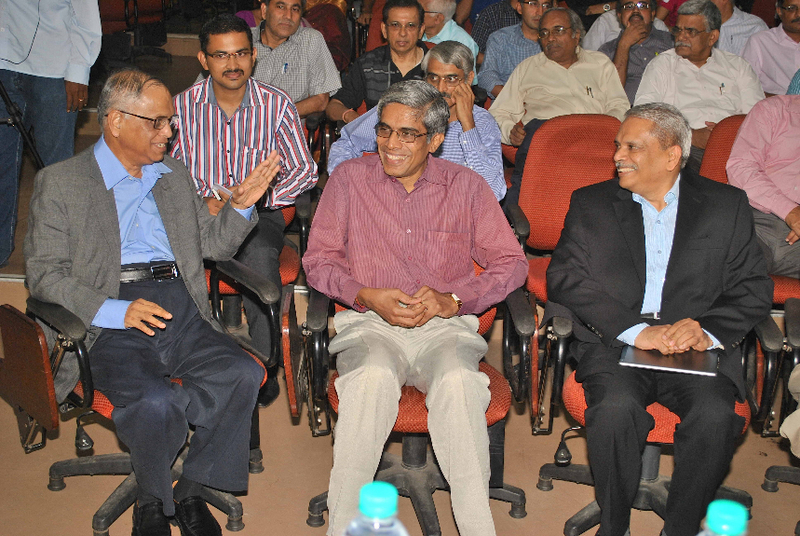 N. R. Narayana Murthy, with the Director of IIT Madras, Prof. Bhaskar Ramamurthi, and Kris Gopalakrishnan, who is also a member of the Governing Board of IIT-M. The research work at CCBR would involve large-scale brain simulations and analysis of large data sets requiring a broad range of skills, meaning that students across disciplines will have the opportunity to do cutting-edge neuroscience under the guidance of these leading researchers and other faculty members they will be collaborating with. Already, two electrical engineering undergraduates will be spending the summer at Prof. Mitra’s research lab in New York. “What we’re attempting, at the initiative of Kris, is something that is not just one instance but can become a model for leapfrogging in many, many areas,” says Prof. Bhaskar Ramamurthi, Director of IIT Madras. One such area is the exciting interface between big data, biology, and computing. The Mehta Family Foundation, finding IIT Madras to be an ideal place for fostering excellence in teaching, research and innovation, had already funded the building which houses the Biotechnology department. Now, there will also be a Mehta Foundation Chair, to be occupied by Prof. Ashok Venkitaraman of the University of Cambridge. He would be leading the Interdisciplinary Initiative on Biological Systems Engineering (IBSE), where the immediate focus would be on studying specific forms of cancer, aided by the setting up of the cancer tissue bank in the Biotechnology department. The research at both the CCBR and IBSE would require powerful supercomputers to crunch terabytes of data. In addition to the Virgo Cluster – which, in 2012, was ranked the fastest and the most energy efficient supercomputer cluster in an academic institution in India – a new computing facility specifically for data analytics will be set up, as part of an interdisciplinary Centre for Data Sciences. “There’s just so much data out there already. It’s waiting for an engineer to come up with a new perspective to look at it,” says Dr. Karthik Raman of the Biotechnology department, who will be involved with IBSE. 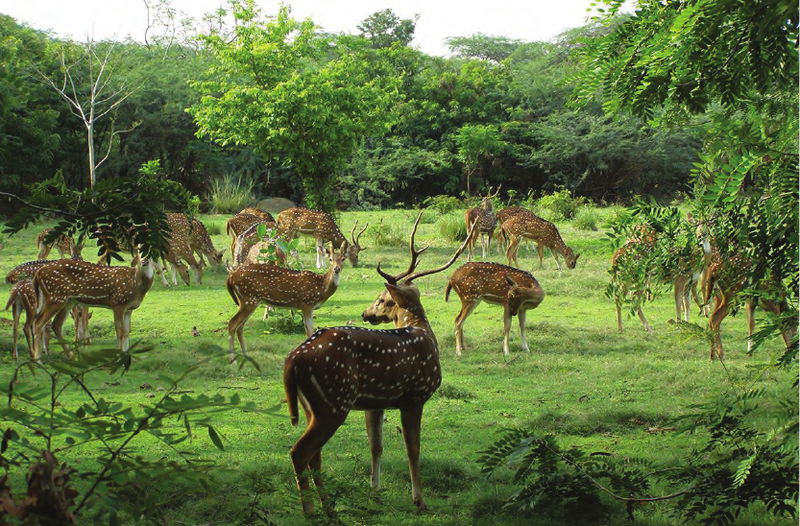 At IIT Madras, interdisciplinary activities aren’t confined to formal coursework and academics. More on that in the second part of this series.